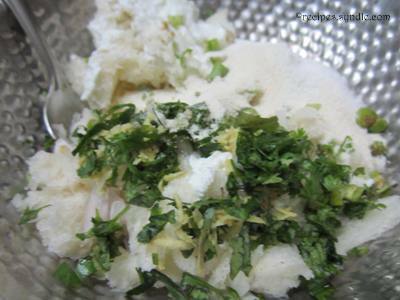 Instant medu vada is a easy and simple preparation of of a medu vada (soft vada). 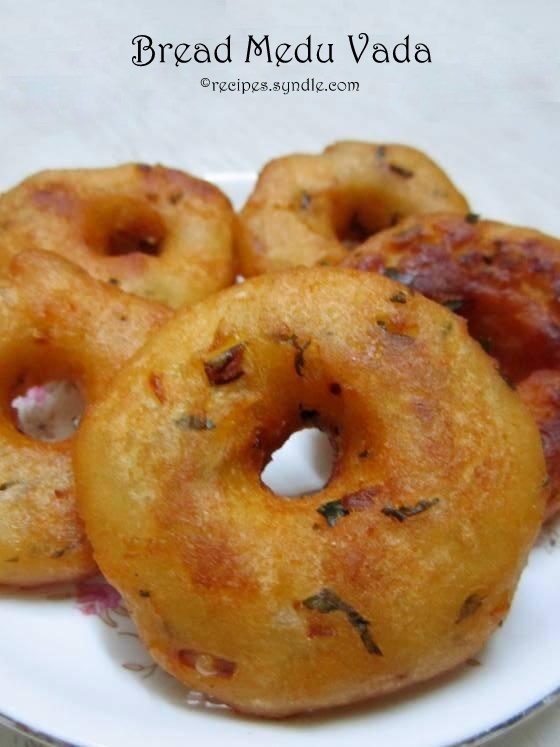 Medu Vada is one of the popular South Indian delicacy and it is very popular in all the states of south India. 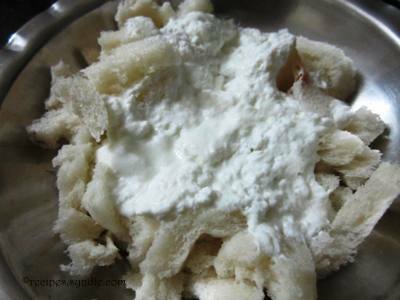 Vada is made by fermenting Urad dal batter and in cold weather it take too long or some times it is impossible to get ferment. 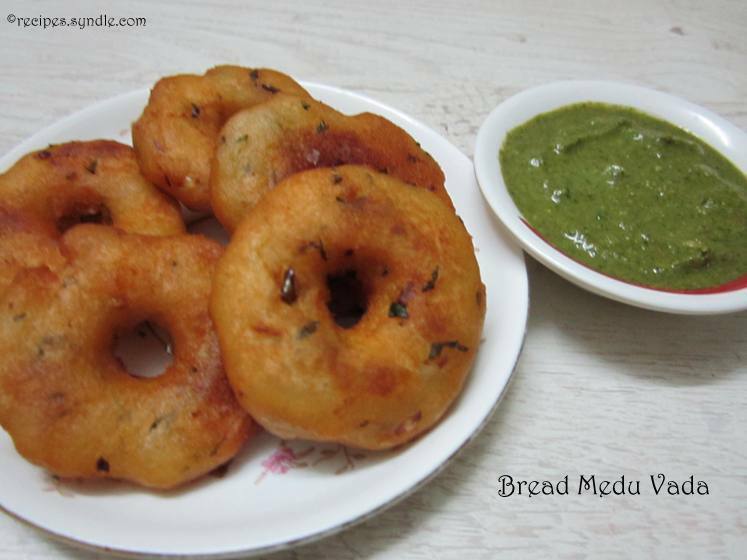 In that case you ca try this instant medu vada or bread medu vada, which will have a look and feel of the original medu vada. Now let us see how to make Instant medu vada. 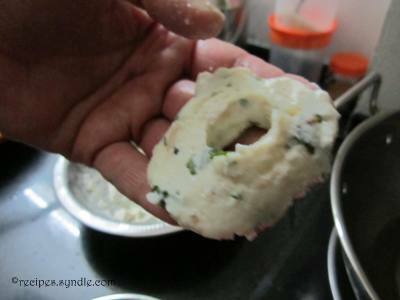 You can see the step by step method of making this instant medu vada. So instead of preparing the traditional medu vada from skinned urad dal, Mom decided to make it with bread. The rest of the ingredients are same. These crispy medu vadas taste delicious and this is indeed an easy snack recipe. Not to mention, a healthy snack recipe too. 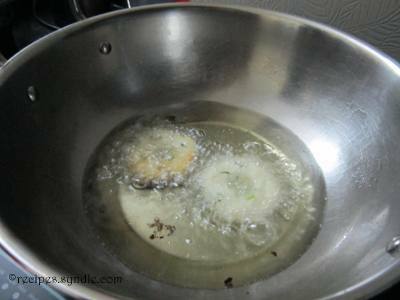 These instant medu vadas do not soak a lot of oil. Light and nutricious, it makes for a great breakfast recipe too. 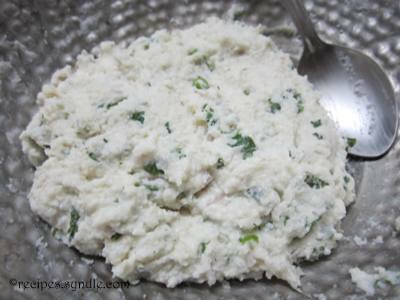 Let’s get started with the recipe of vadas now. For the purpose of measurement, 1 cup = 250 ml. This recipe yields about 12-14 vadas depending on the size. I made them small. Break the bread slices into tiny pieces and place them in a bowl. Add yogurt to it. Add the rice flour, semolina, baking soda, onion, green chilies, curry leaves, coriander leaves, ginger, coconut, cumin seeds and salt. Mix them well. The bread should get mashed and mixed up with the rest o the ingredients. The dough should be soft but not very sticky. Allow the dough to rest for 5-7 minutes. Heat oil in a skillet in the meanwhile. After that, divide the dough in 12 parts. Wet your hands and take a portion of dough to make the shape of a donut. Carefully and gently drop it in the hot oil. Do not overcrowd the skillet. Fry till the turn golden brown on both sides on medium heat, stirring them often. This will take 3 to 4 minutes. Take them out on a kitchen towel to drain the excess oil. transfer them to a serving plate and serve them with cilantro chutney. Enjoy! 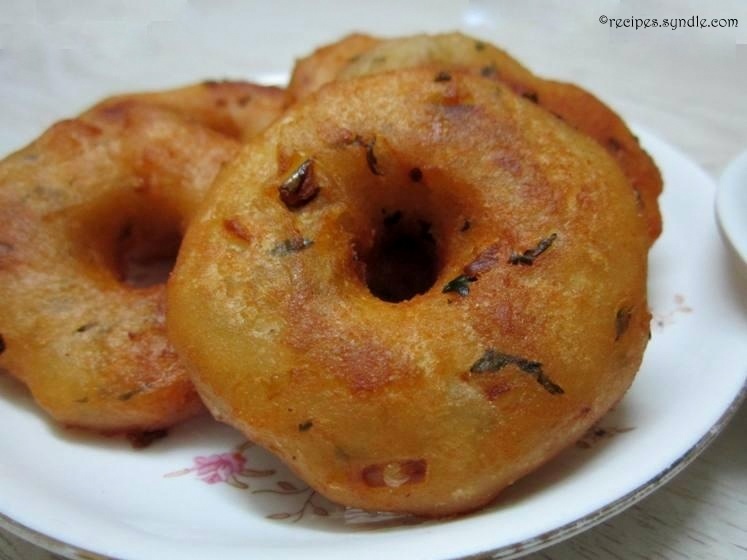 The vadas taste equally delicious like the traditional ones. Also, they stay good for a few hours, crunchy on the outside, soft on the inside.